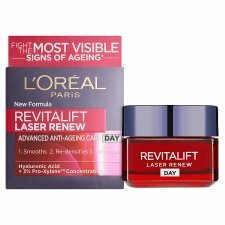 L'Oreal Revitalift Laser Renew Day cream, advanced anti-ageing care for younger-looking skin. The triple action moisturiser works to replump, refirm and refine the skin. 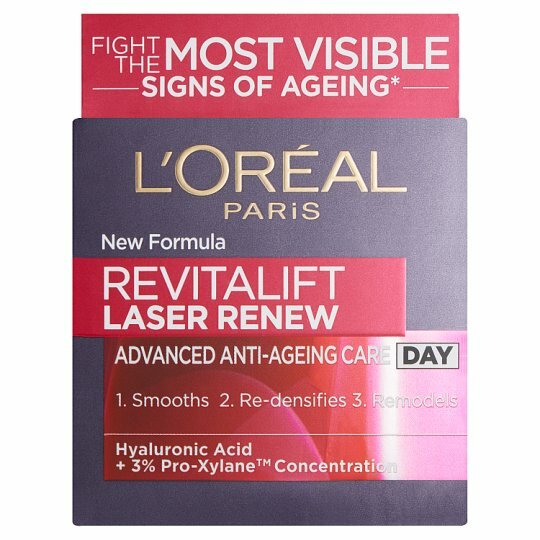 Proven effectiveness, formulated with our highest concentration of Pro-xylane™3% and Hyaluronic Acid, this intense action treatment reduces the appearance of fine lines and wrinkles, skin feels firmer and looks smoother. 2. 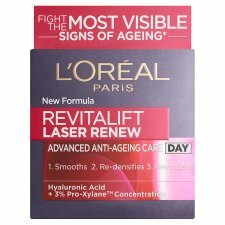 Refirms: A 3% concentration of Pro-Xylane™, known for its powerful anti-ageing properties. Skin feels firmer. 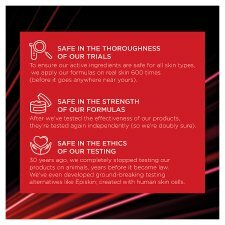 Immediately skin quality appears transformed. Confirmed by 87% of women*. After one week clinical tests show a reduction in crows feet (-16%). After 4 weeks women's skin looked replumped and felt firmer.